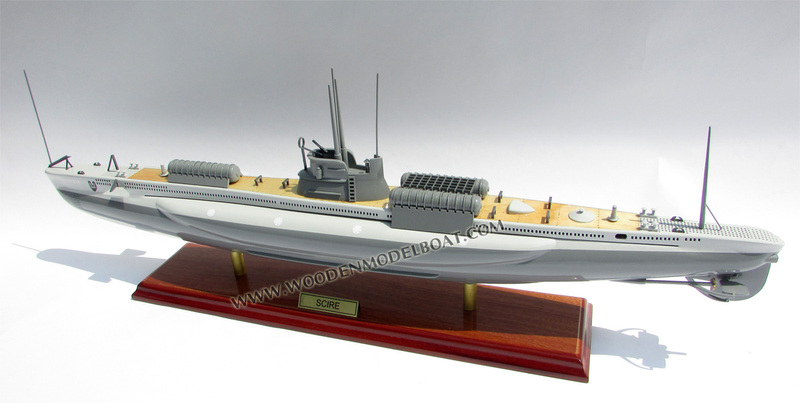 This submarine model is hand-crafted from wood with planks on frame construction and painted as the real ship. 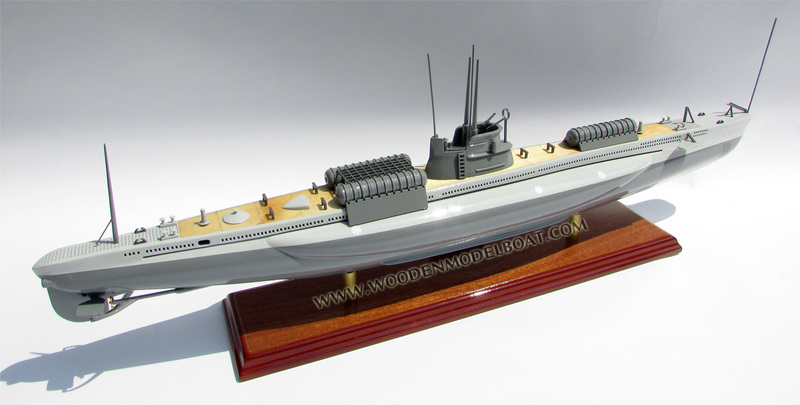 There are no plastic and this model is ready for display. 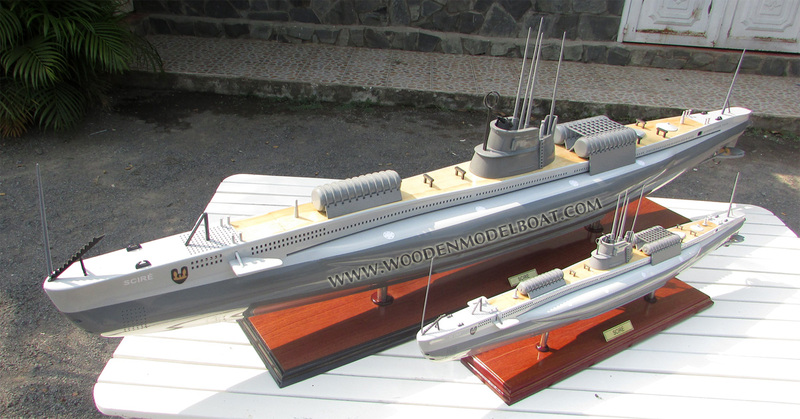 Italian submarine Scirè was an Adua-class submarine, built in 1930s which served during World War II in the Regia Marina. It was named after a northern region of Ethiopia, at the time part of Italian East Africa. 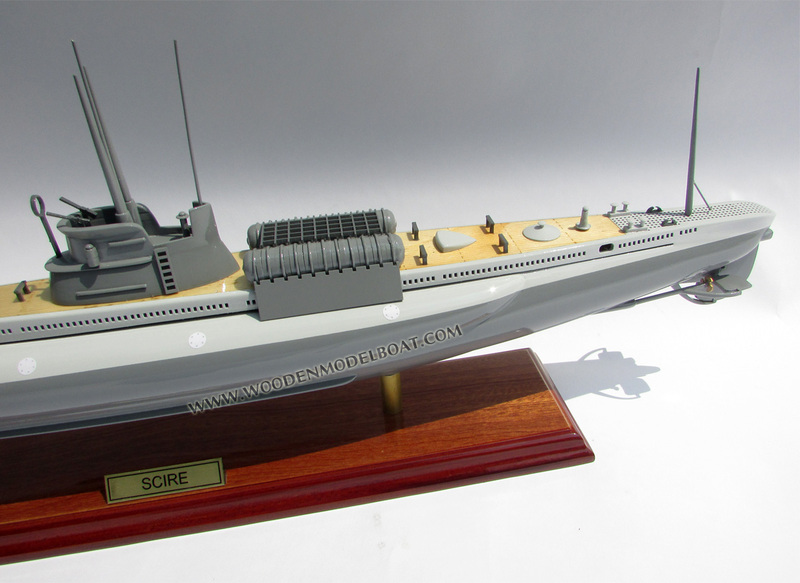 Scirè was launched on 6 January 1938 in OTO's shipyard in La Spezia and commissioned on 25 April 1938. At the beginning of the war, she was assigned to 15th Squadron (I Submarine Group) based at La Spezia and was under command of Adriano Pini. 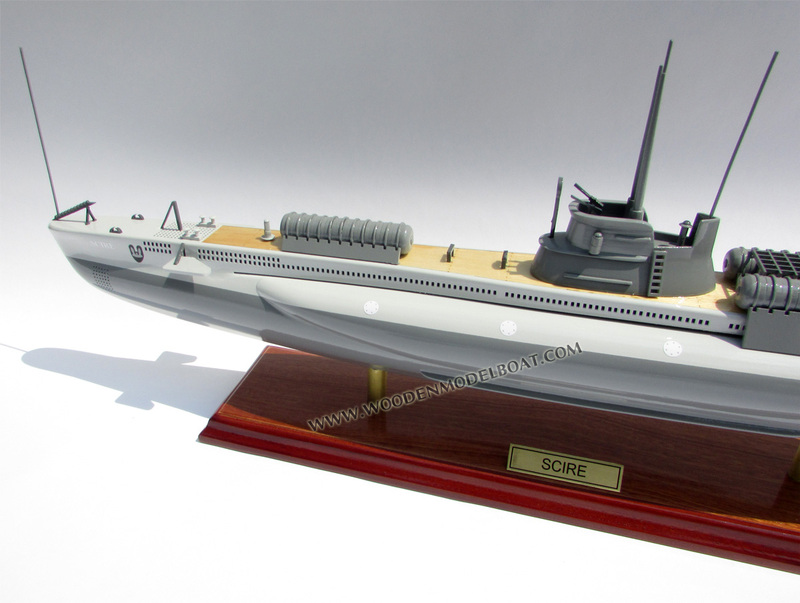 On July 10, 1940, while on patrol in the western Mediterranean, French cargo ship SS Cheik (1058 GRT) was torpedoed and sunk by Scirè 54nm from the Asmare Light, north of Sardinia. In the summer of 1940 Scirè underwent a series of modifications converting her to a SLC boat. The size of the tower was reduced, her deck gun was removed, and 3 watertight cylinders were mounted on her deck instead to accommodate maiali. These cylinders, each weighing 2.8 tons, could hold up depths down to 90 meters. 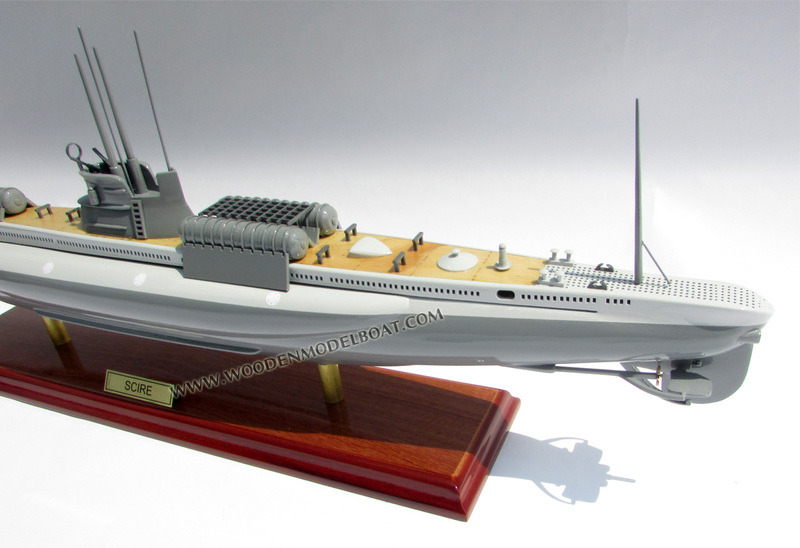 On September 24, 1940 Scirè, under command of captain Junio Valerio Borghese, sailed from La Spezia for her first special mission to be performed in Gibraltar. In the evening of September 29, upon reaching the Strait of Gibraltar, Sciré received an order from Supermarina to suspend the mission and return to the base as Force H had left the Mediterranean to operate in the Atlantic. 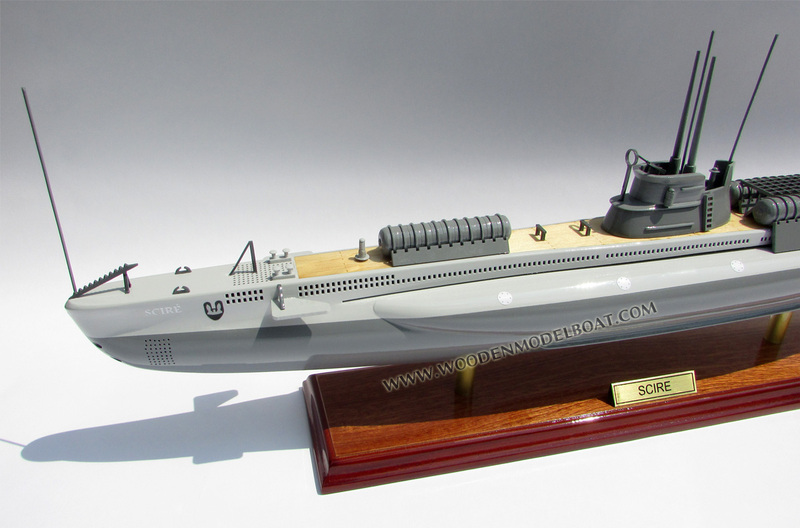 In 1940 Scire made it first foray into the Bay of Gibraltar intent on sabotage of the British ships in Gibraltar Harbour with three manned torpedoes. None of the three were successful with the most daring getting stuck 100 metres from HMS Barham. The crew were forced to withdraw and the explosion of the torpedo's only achievement was to tip off the defenders of Gibraltar Harbour. They organised for boats to drop small charges into the water each night that would have proved fatal to any diver in range of the shock wave. Scirè entered the Bay of Gibraltar again in September 1941 with better results than the previous time. On September 20, 1941 three tankers were attacked and Fiona Shell (2444 GRT, 1892) was sunk whilst other two ships, RFA Denbydale (2145 GRT) and MS Durham (10893 GRT) were damaged. The Italians decided to create a permanent base in Spain eventually converting a ship called Olterra that was moored off Algeciras into a permanent base for naval sabotage. Scirè accomplished many missions inside enemy waters. 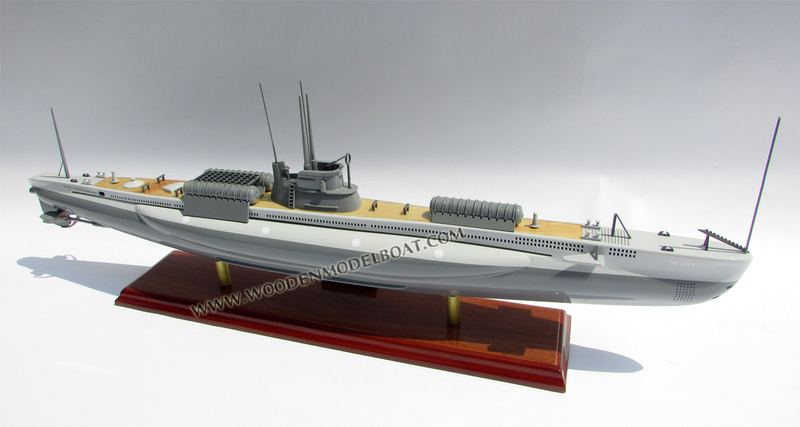 Among these, the most important was carried out on 3 December 1941. Scirè left La Spezia carrying three manned torpedoes. At the island of Leros in the Aegean Sea, it secretly loaded six crew for them: Luigi Durand de la Penne and Emilio Bianchi (maiale 221), Vincenzo Martellotta and Mario Marino (maiale 222), Antonio Marceglia and Spartaco Schergat (maiale 223). On 19 December, Scirè reached Alexandria in Egypt, and its manned torpedoes entered the harbour and sank in shallow waters the British battleships HMS Valiant, Queen Elizabeth and damaged the tanker Sagona and the destroyer Jervis. 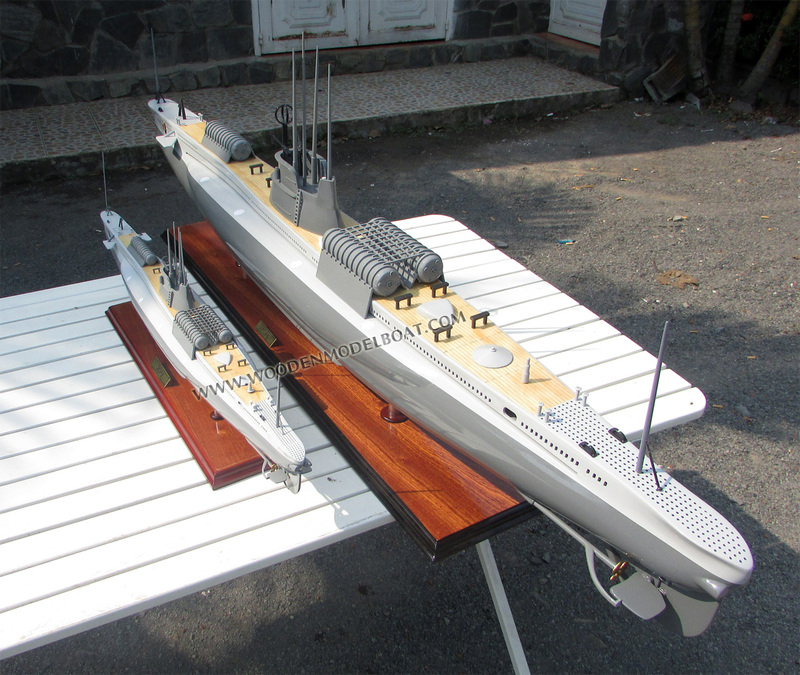 All six torpedo-riders were captured and the battleships returned to service after several months of repairs. During one of these missions, on 10 August 1942, Scirè sank, damaged by depth charges dropped by the British naval trawler Islay in Haifa bay, about 11 kilometres (5.9 nmi) from the harbour. Islay was captained by Lieutenant Commander John Ross of North Shields, Tyne and Wear who was later awarded the Distinguished Service Cross for his actions. The wreck of Scirè, lying at a depth of 32 metres (105 ft), became a popular diving site and Shayetet 13 training location. In 1984 a joint Italian-Israeli Navy ceremony was performed, in which the forward section was removed from the submarine and sent to Italy to become part of a memorial.